As per Maricopa County court documents, a Peoria woman was arrested Saturday on suspicion of driving with a blood-alcohol level more than three times the legal limit with her four children inside the vehicle. Joni Laughlin, 61, was arrested around 3 p.m., as she registered a 0.254 blood-alcohol content in a field breath test, records state. The limit which is legally allowed in the State in Arizona stands at 0.08. She was stopped by the officers after a report of a wrong-way driver near a Safeway store at Vistancia Boulevard and El Mirage Road, court documents stated. Another call was received from a motorist on 911 reporting a vehicle was driving into oncoming traffic. As per the court documents, the caller followed Laughlin into the Safeway parking lot and then ran to the driver side of Laughlin’s vehicle, after parking his vehicle, and noticed she was profoundly impaired. This is also included in a probable cause statement submitted to the court by Peoria police after her arrest. The motorist described as a ”witness” in court documents. He told police the four children were in the back seats “screaming and crying,” court documents stated. The records also added that the witness had to assist Laughlin in stopping her vehicle and removing the keys after he yelled at her. As per the court documents, Laughlin had a blank stare and was very confused when officers asked her questions. She also told the officers that she was at rehab, then a shopping center and that she was driving home with her four children, the court documents stated. The records stated, Laughlin needed assistance getting out of her vehicle and was unable to understand the ‘walk and turn’ test instructions. 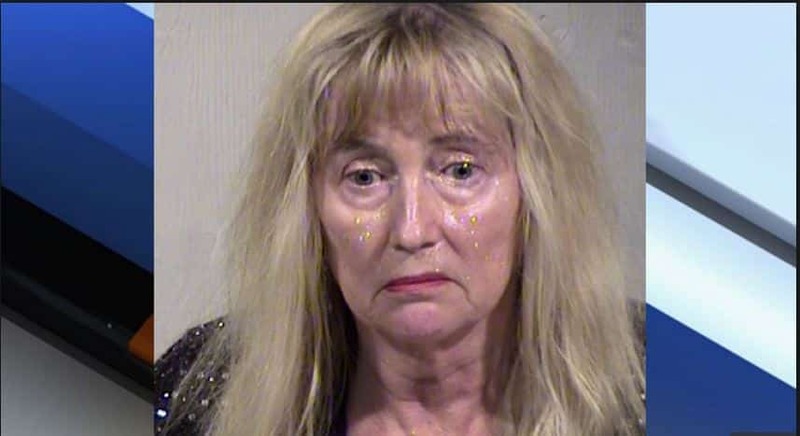 She has been arrested and booked on four counts DUI ranging to extreme levels, four counts aggravated DUI with a passenger under the age of 15, and one count aggravated DUI wrong way driving, according to the court documents. As per the information, her bond has been set at $2,500.